Tinkerbell. Tinkerbell comes to mind. the world above the clouds, surrounded by overflowing positive energy, full of colors and full of light. the same scenery, the same world can look so different, if seen with all your senses full open. 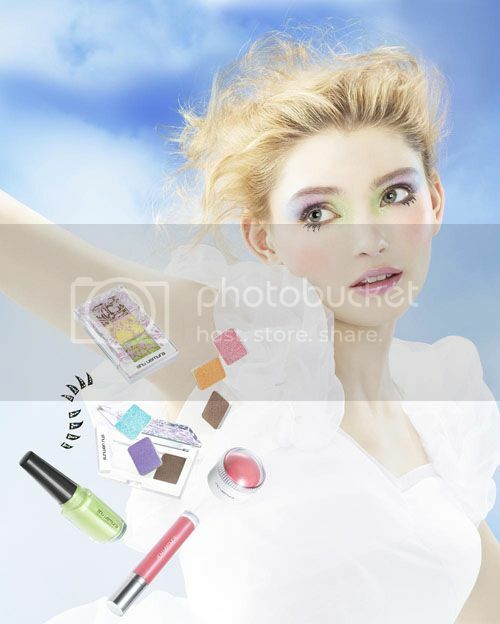 unchain yourself, play with the colors, enjoy make-up, and above all enjoy precious moments that exist in your life. Light Colors are inspired by the breath of fresh air and the embrace of warm light found in the spring season. 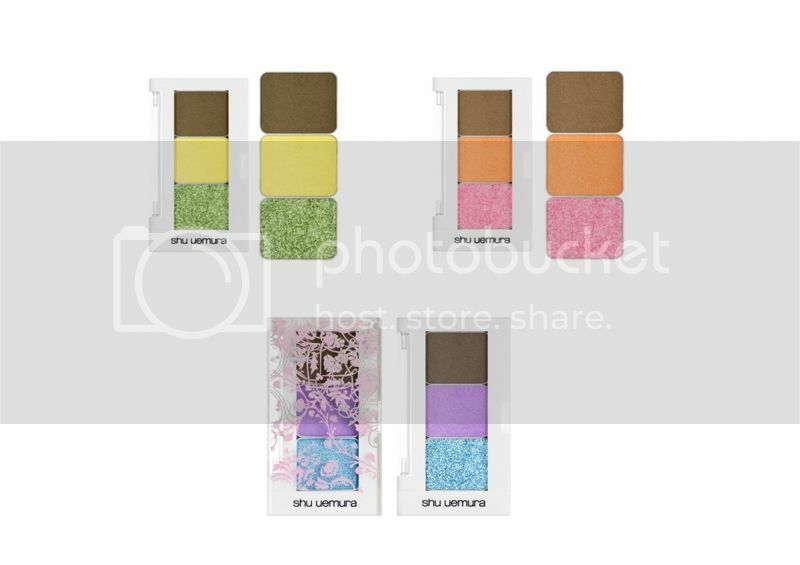 The three eye shadows found in the limited edition case may be replaced to fit one glow-on blush refill or 2 pressed eye-shadow refills. 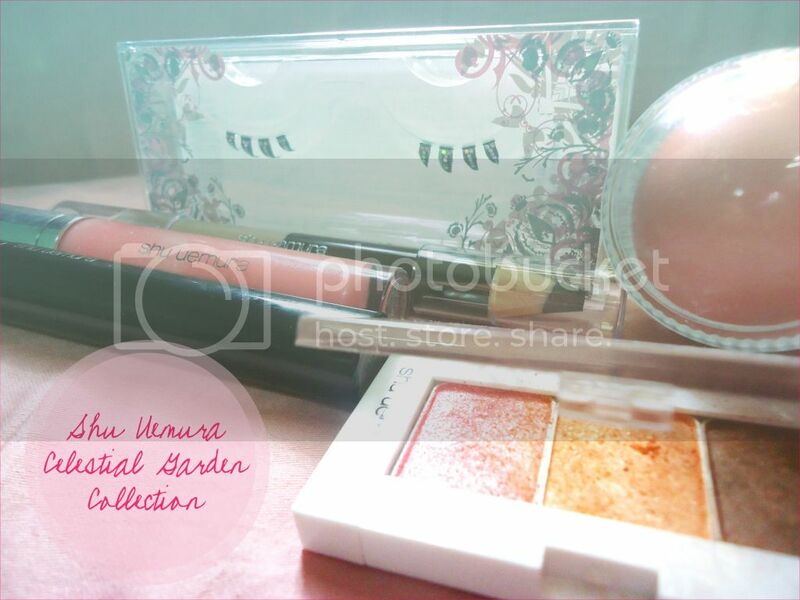 Blooming flowers in unseen colors, a floral pink, sherbet orange and dark brown. Precious colors and radiance in the limited-edition refillable custom case. colors are inspired by the breath of fresh air and the embrace of warm light found in the spring season. tint your lips with fresh and pure colors of spring. 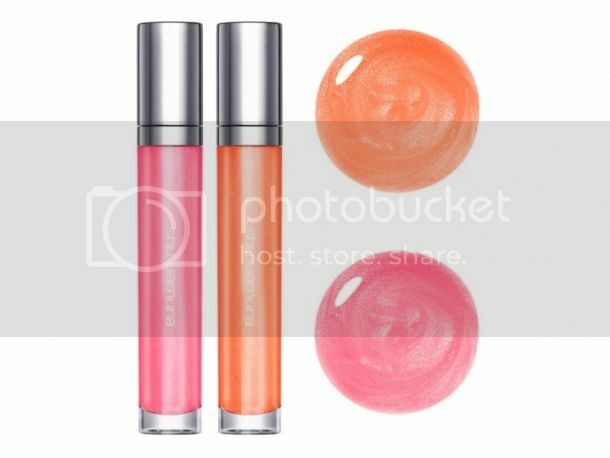 apply alone to add a natural luster on your lips or use together with rouge unlimited to create pure dewy lips. A fusion of breakthrough watery dewy shine and rich color payoff. 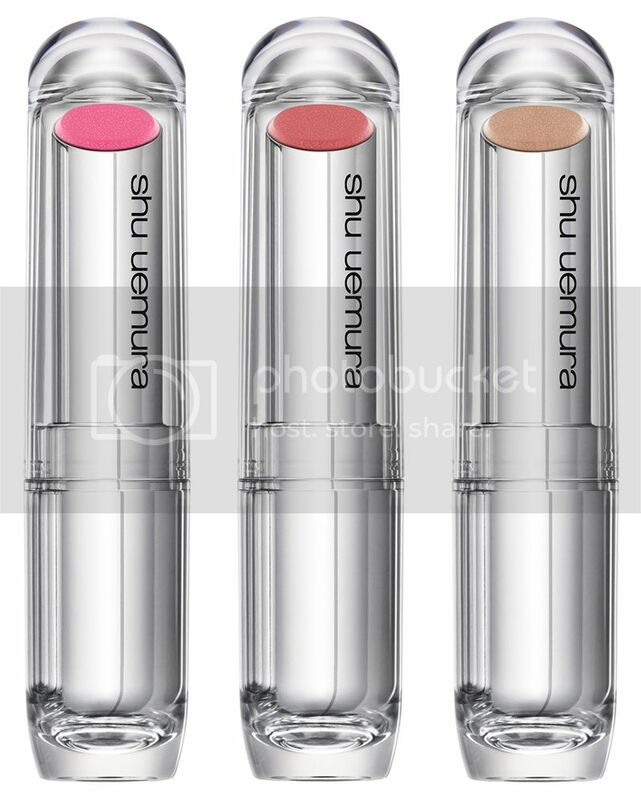 Revolutionary film keeping capsule, ultra shine oil and shu uemura's signature hybrid pigment create a smooth, thick veil on the lips that glides on easily to deliver unforeseen shine and vibrant pure color payoff.